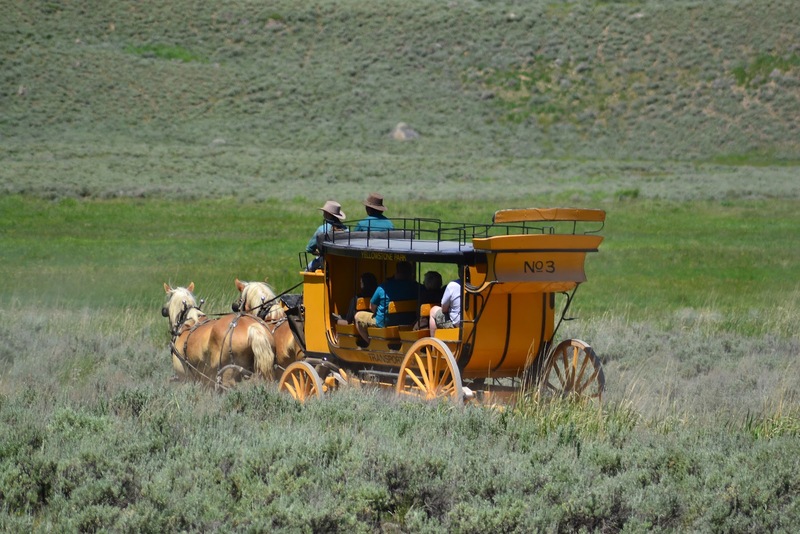 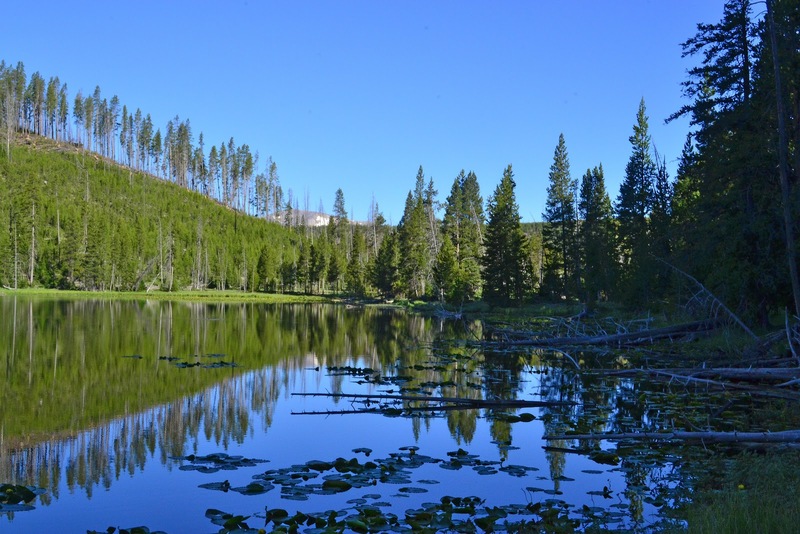 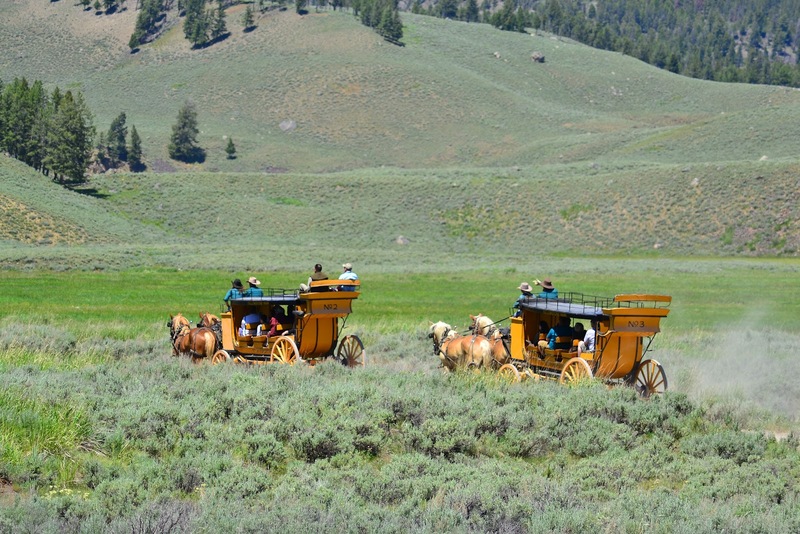 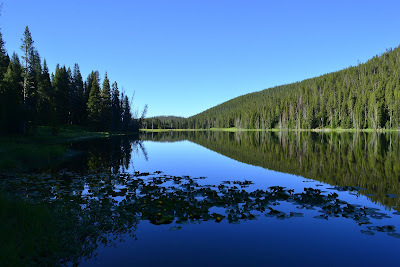 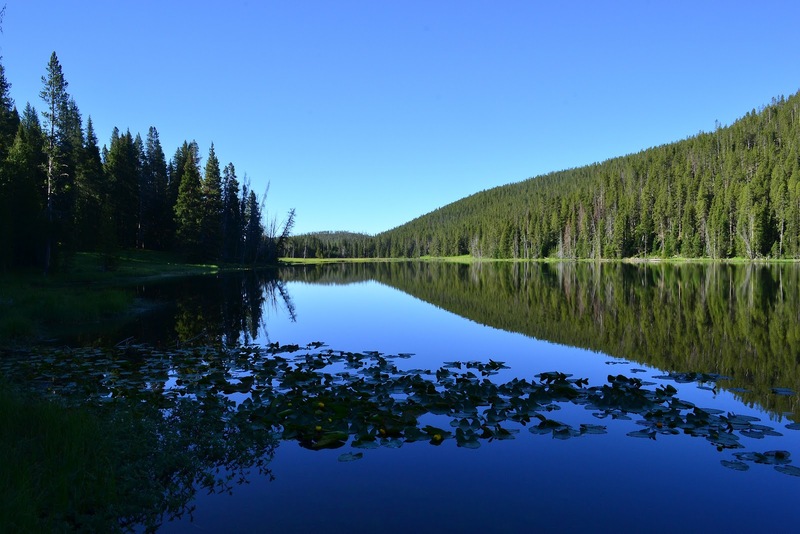 Hello Folks, I will be offline for some time as I have quit my job in Yellowstone and will be heading back to California for the summer to pursue other avenues. 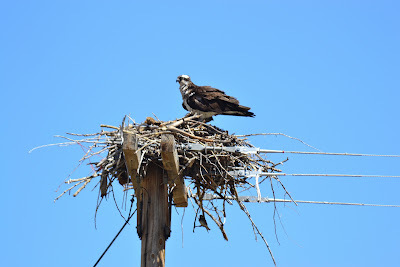 This will be my last blog for this area for a few weeks and then the post will come once again. Thanks for all of you that have been monitoring my blogs, I have throughly enjoyed doing the work as a photojournalist. I shall return later this late summer, with hopefully a colorful collection of images of California and the Western USA. This past week, was the same as the week before... 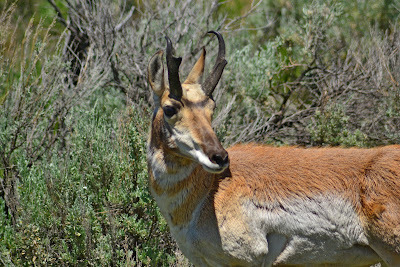 I was very lucky to be in the right place at the right time and was rewarded with some special pictures of wildlife. 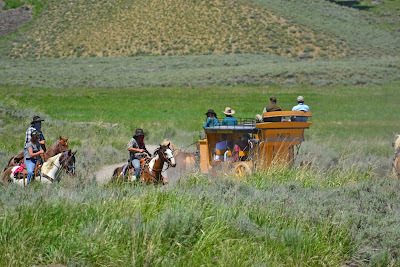 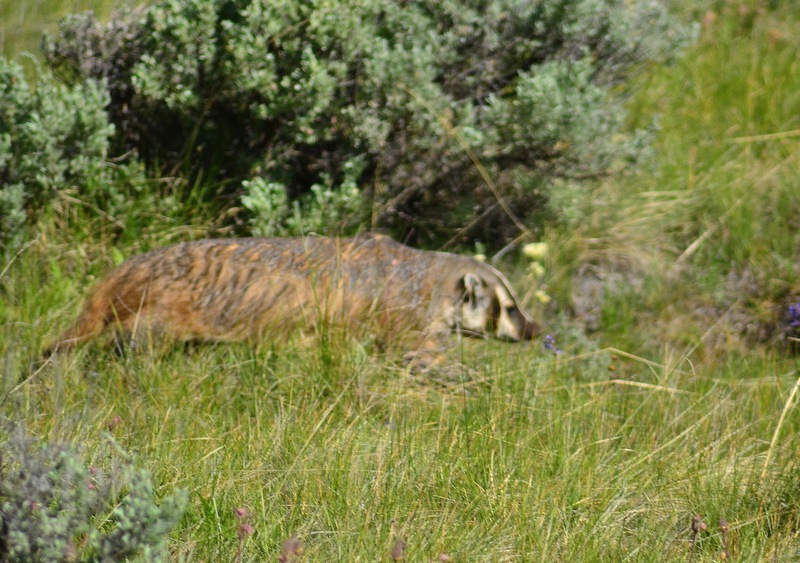 The first up will be the large badger I spotted working his way up parallel with the road going through Lama Valley in Yellowstone National Park. 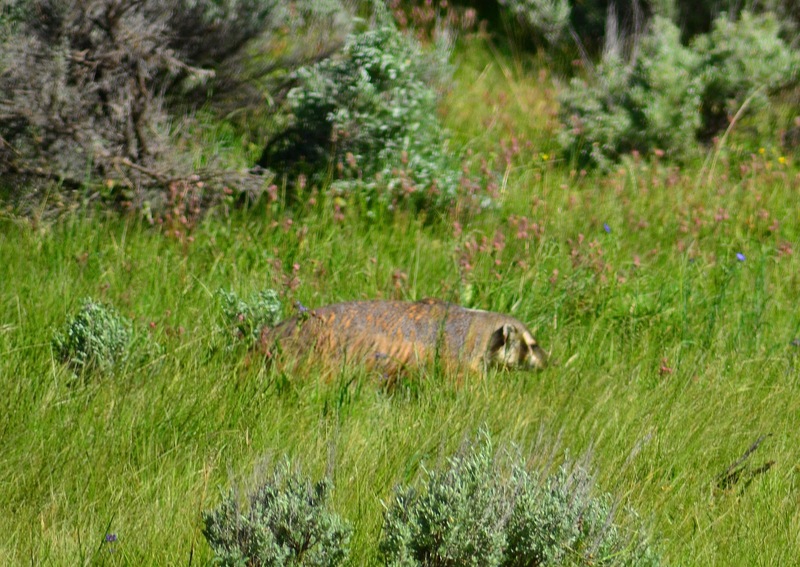 He goes along this path to 'flush out' his favorite meal of ground squirrels which nest in colonies along the road. 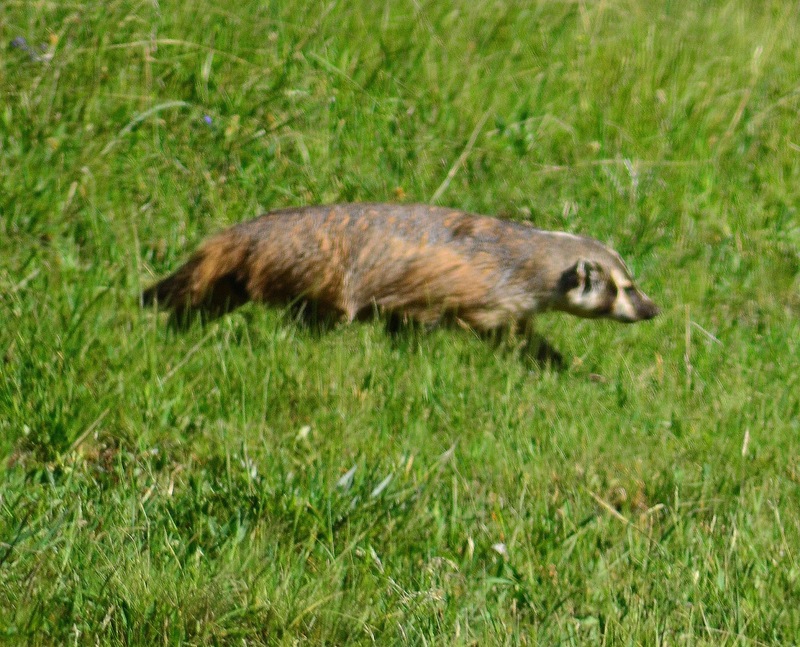 The badger shots were not the greatest as he never stops moving... but this was my first badger and I am stoked for it. 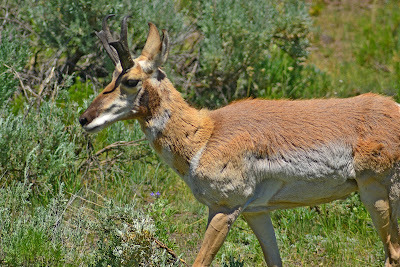 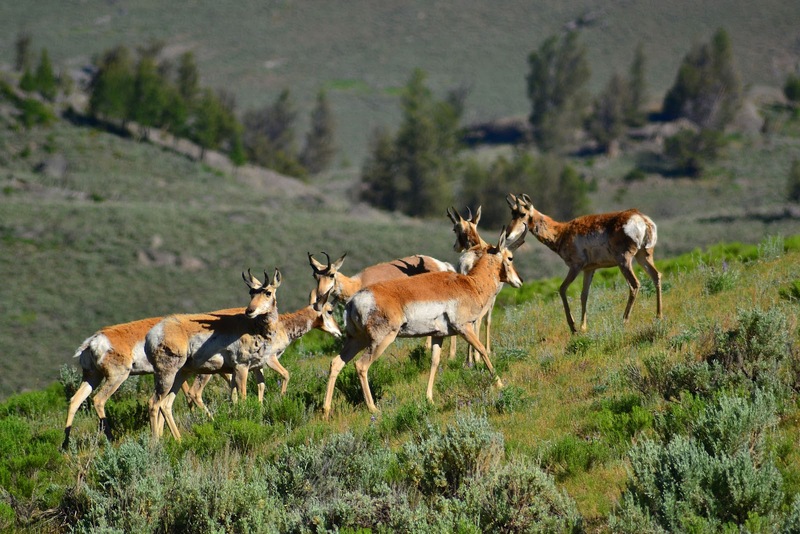 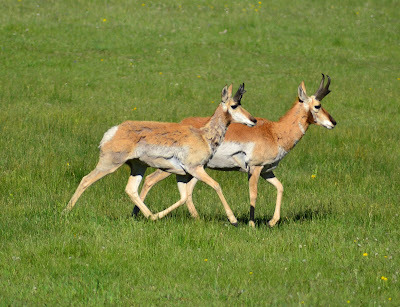 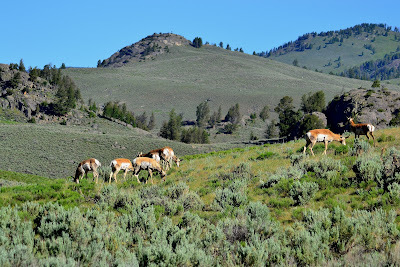 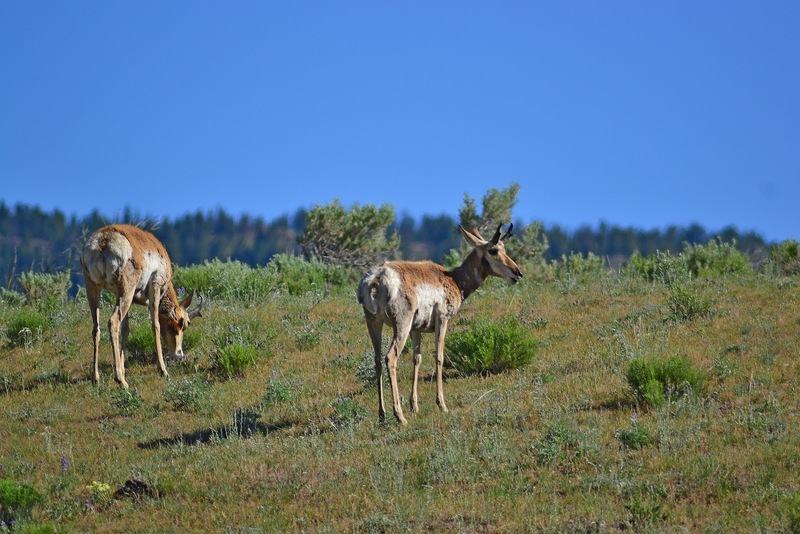 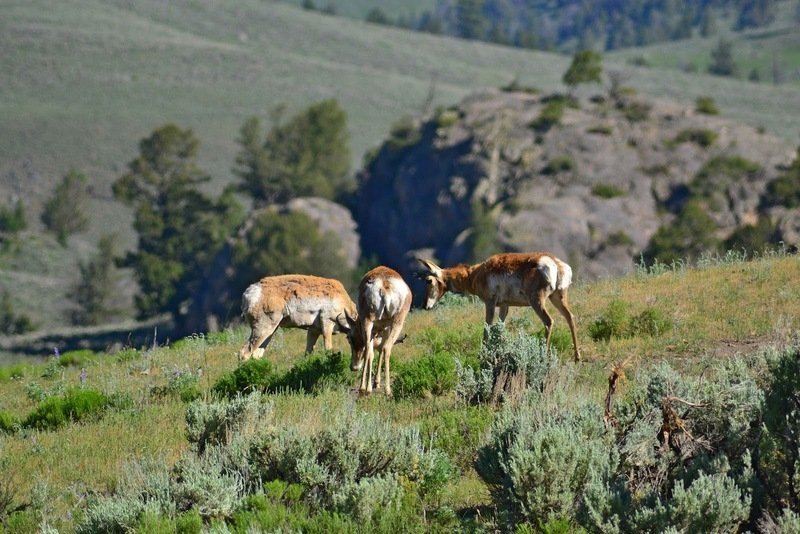 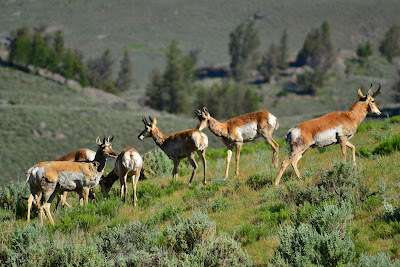 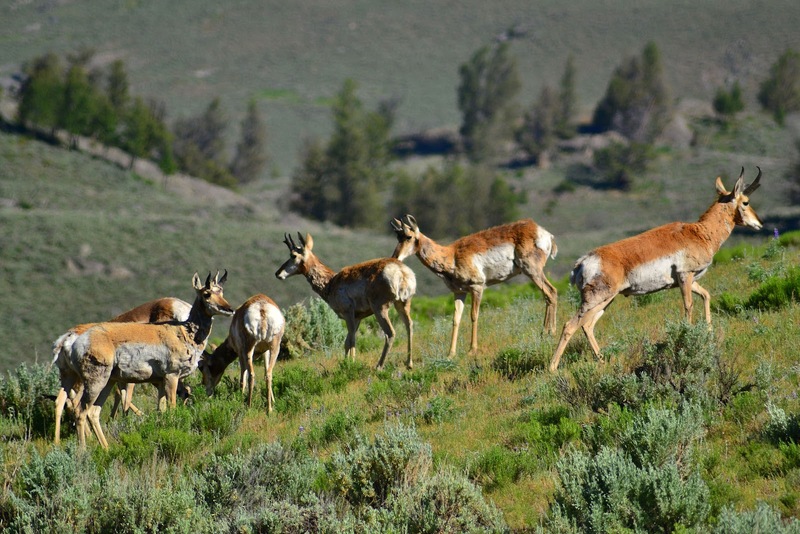 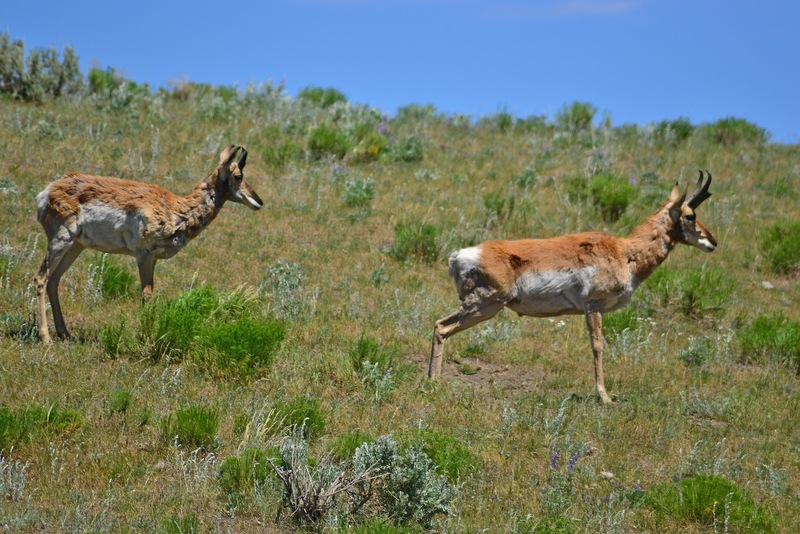 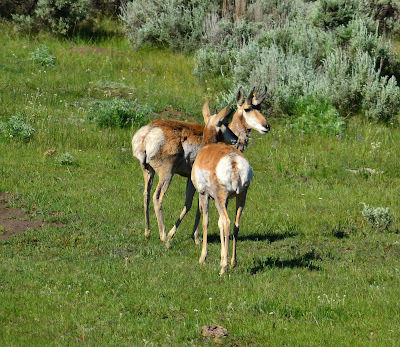 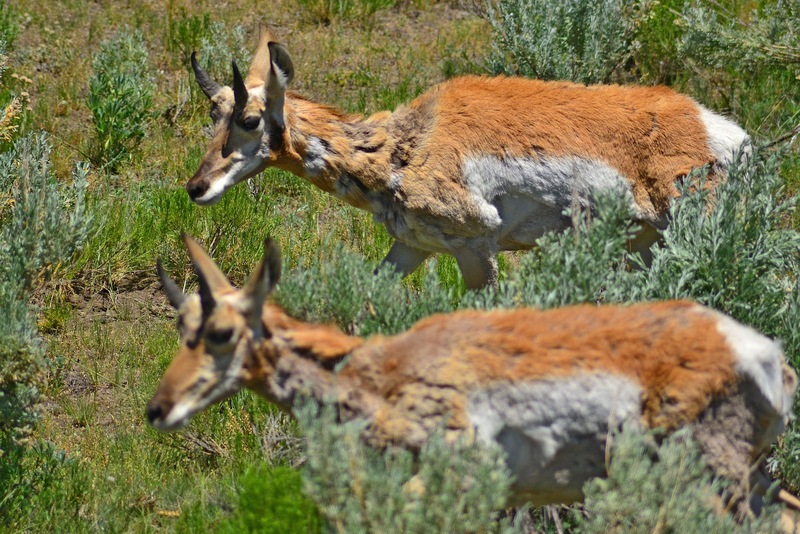 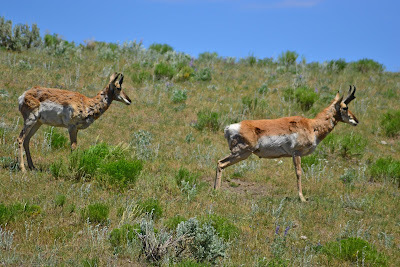 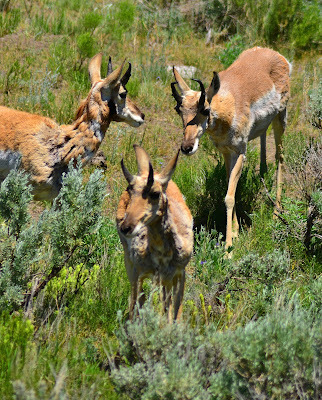 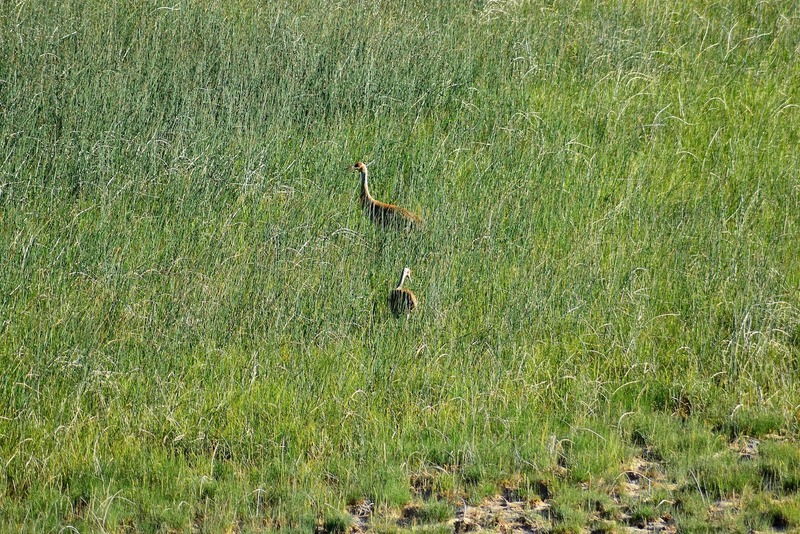 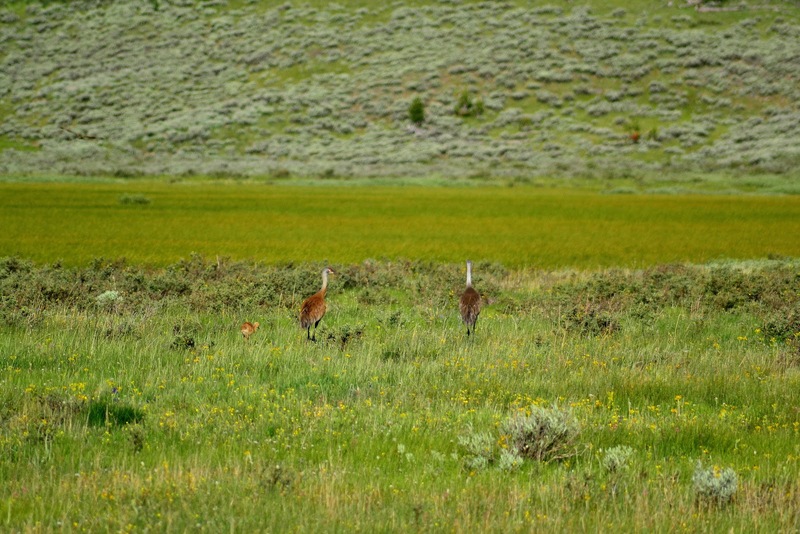 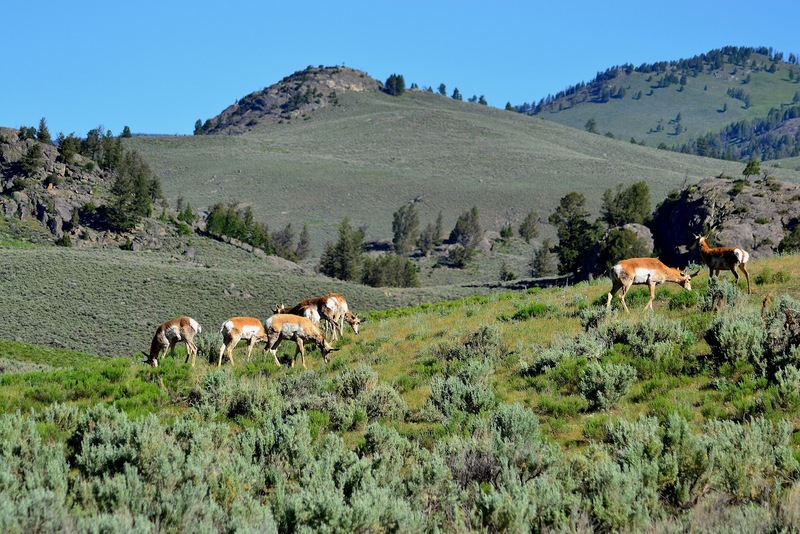 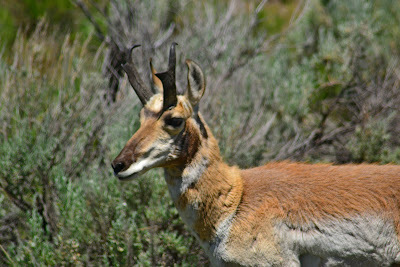 Also in the Lama Valley lives herds of Pronghorn antelope. 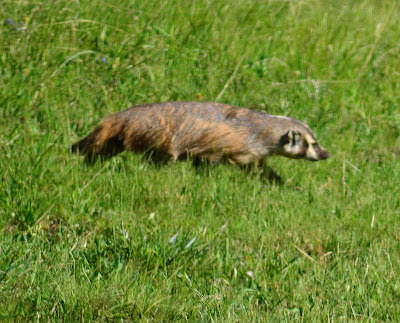 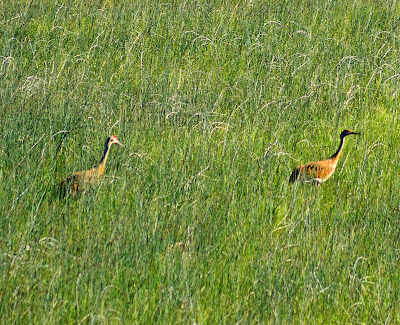 They are very fast and colorful to photography. 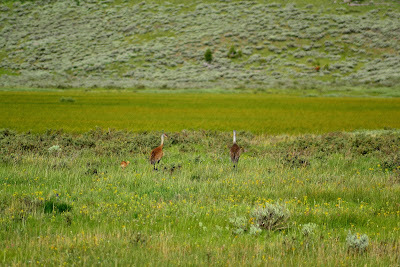 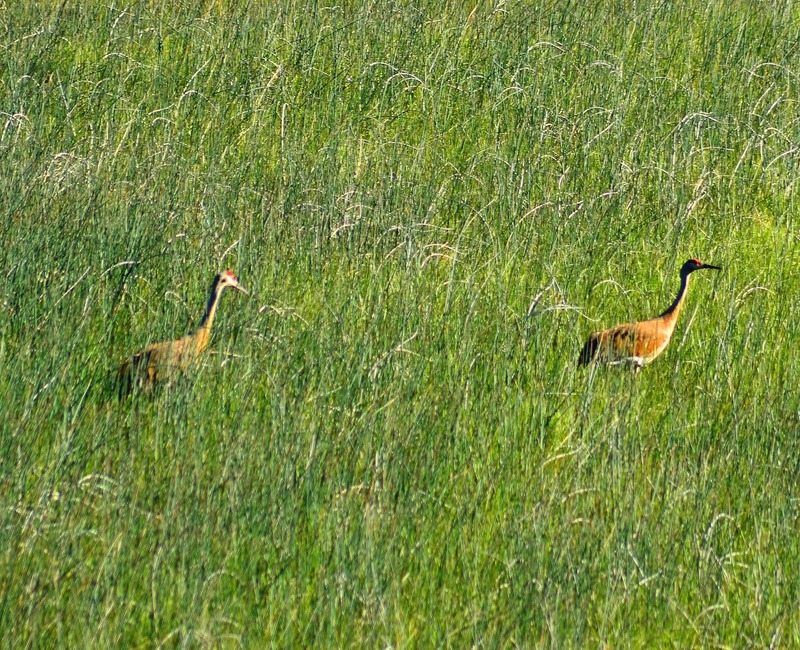 I was lucky as the grasses were perfect for them to graze with along the road. 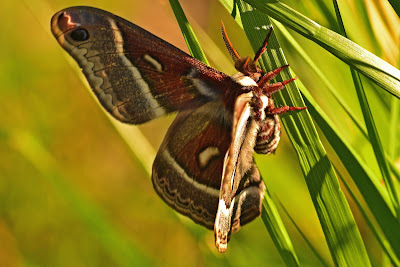 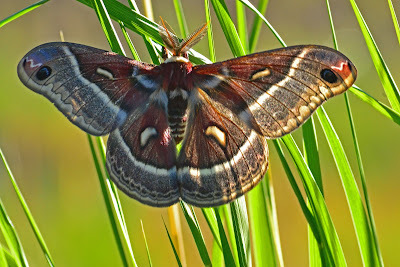 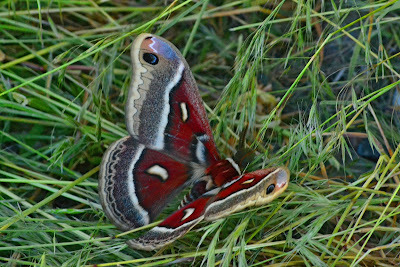 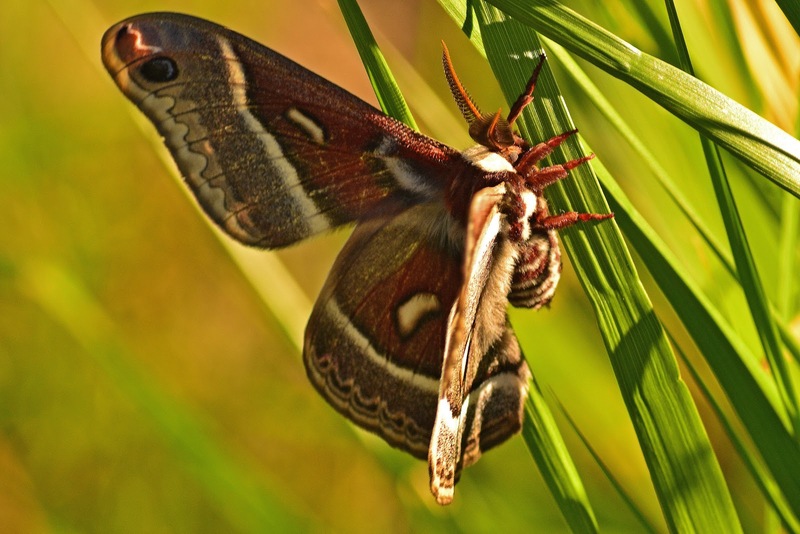 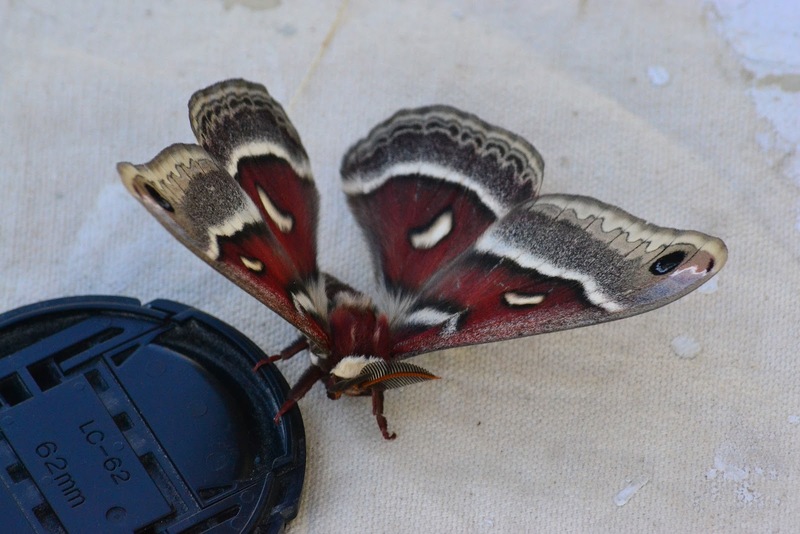 Also, spotted early in the morning was a large moth that was using the sun to dry it's wings. 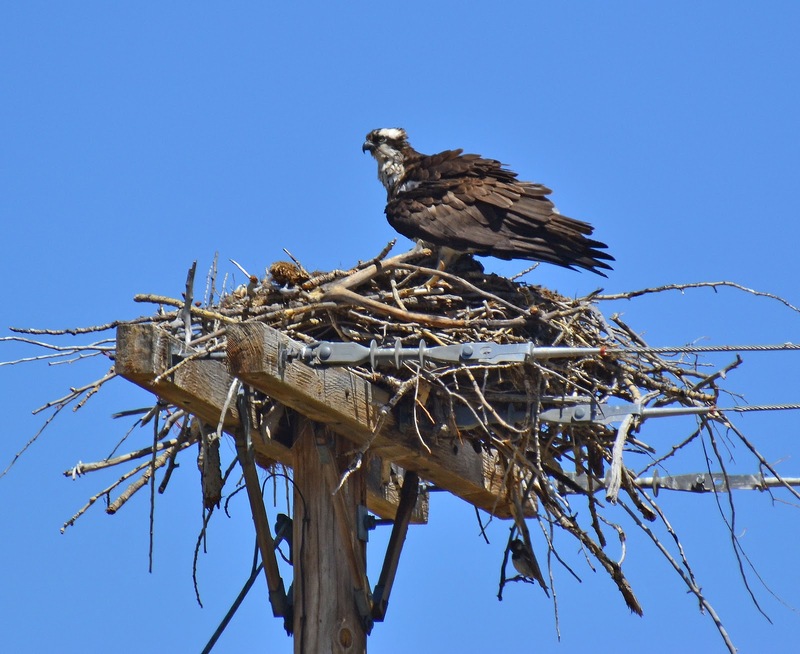 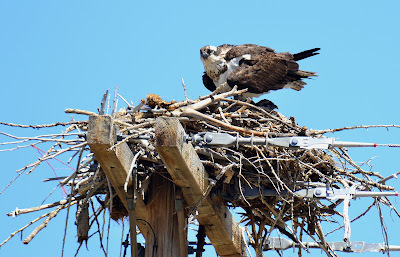 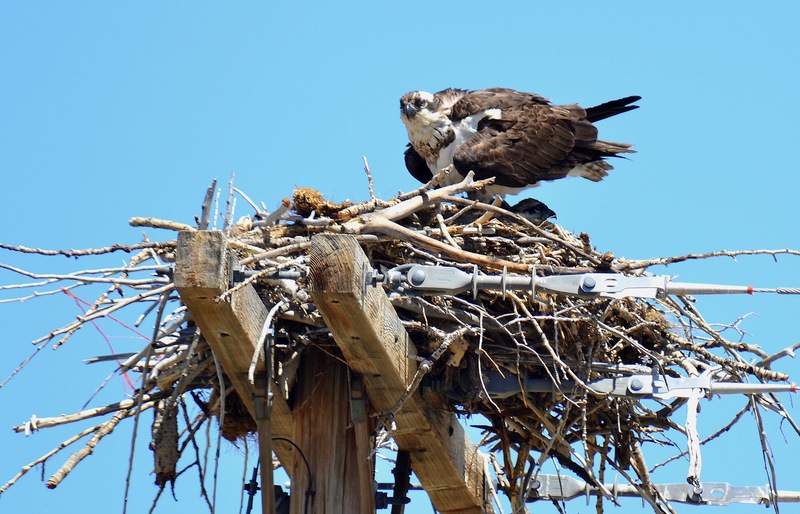 Other flying creatures photographed this week was an Osprey on the nest. 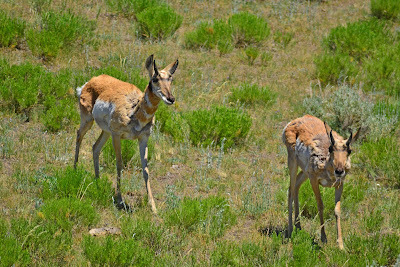 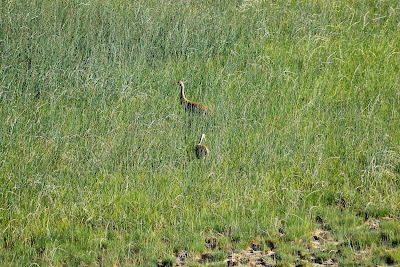 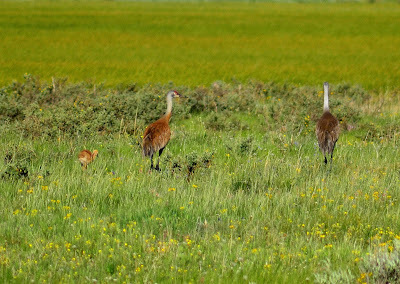 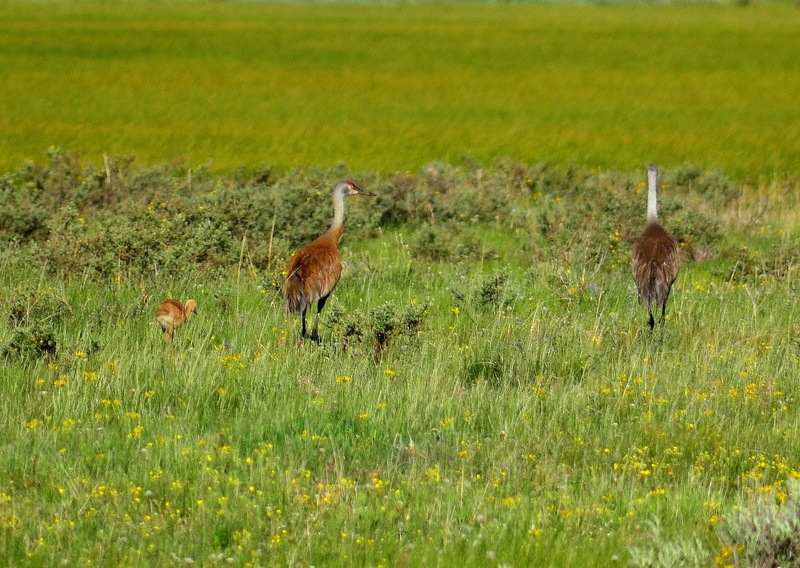 is about 5300 feet is scorching and so the parent shields the hard to see baby in the next with it's body. 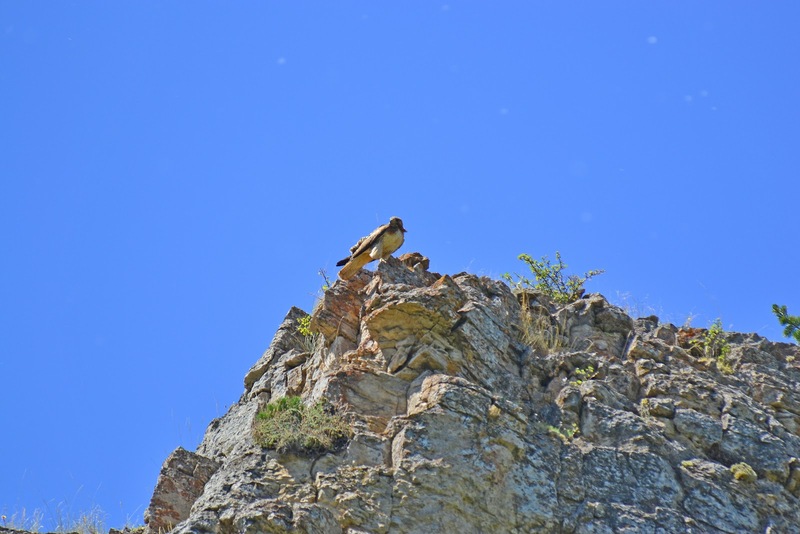 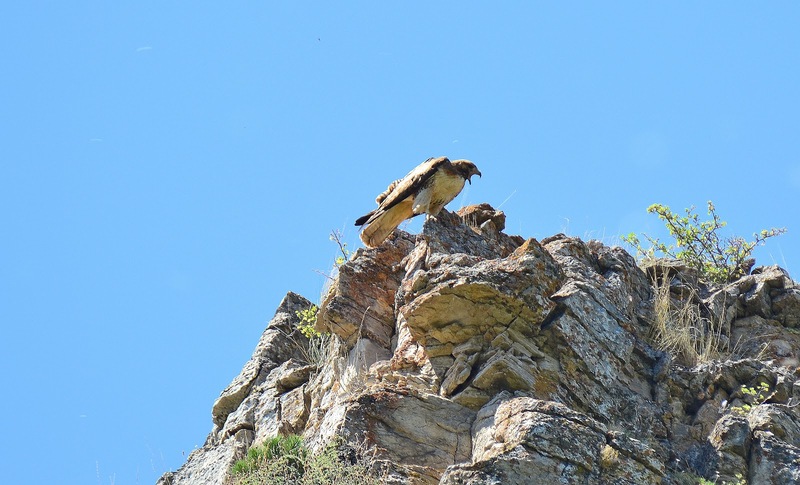 And last but not least is the Hawk which is nesting on a limestone cliff right outside of Livingston, Montana. 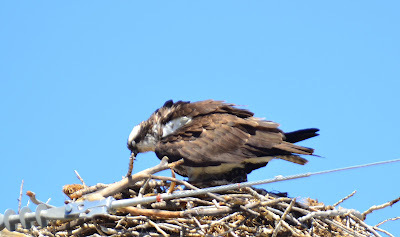 I have been waiting two years to see something near this nest.